Imagine the joy this letter will bring your children when they read that Santa is on his way with presents! What’s more magical than a letter from Santa, personalized and addressed to your children, grandchildren, nieces, or nephews? Give them a small, early Christmas gift before the big morning, and get them excited for their presents from Santa! For just a few dollars, your kids will receive a beautiful letter straight from the North Pole, complete with Santa’s personal stationery and envelopes! This children’s gift by Miles Kimball is the perfect early Christmas surprise for kids! 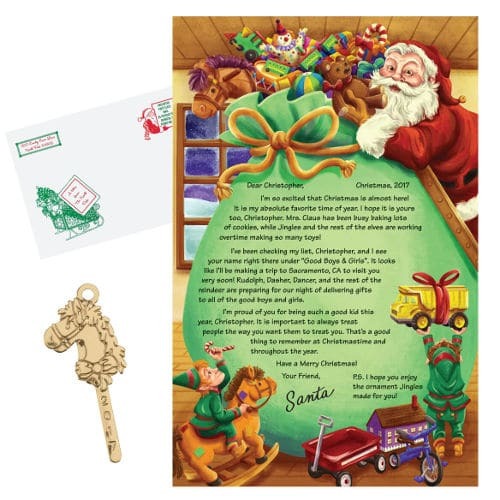 Not only will you get the personalized letter from Santa, you also will get an accompanying keepsake ornament for your kids to hang on the tree for years to come, and to remember the year they were mailed a letter from the North Pole. With free shipping, all orders placed before December 10th will arrive before Christmas, just in time to get your kids into the spirit, and bring some holiday cheer to their wondrous Christmas season! 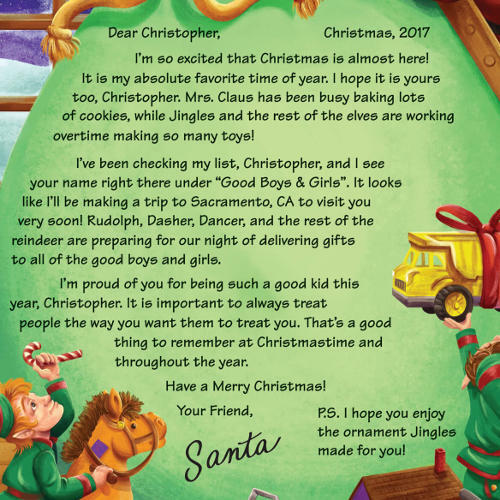 Order your personalized letter from Santa by Miles Kimball today!